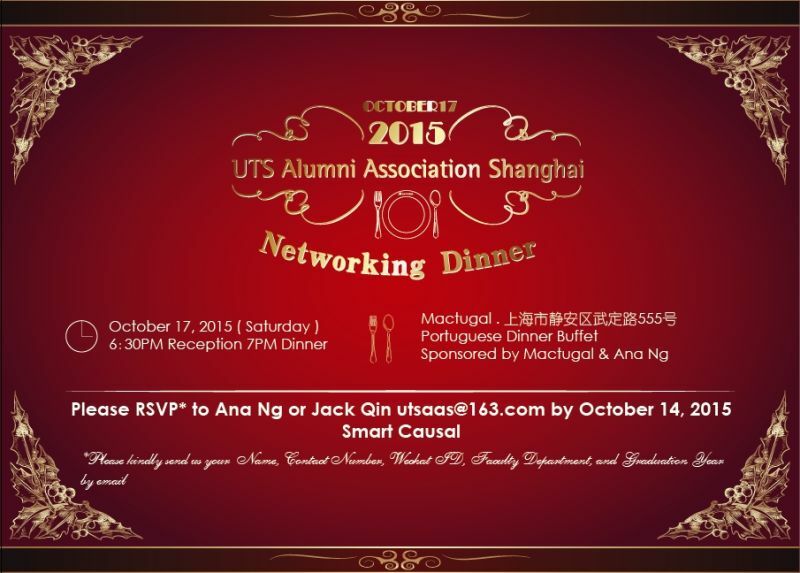 The UTS Alumni Association Shanghai cordially invites you to attend an exclusive networking dinner for UTS graduates on at 6.30pm Saturday 17 October 2015, to encourage and facilitate networking and connections amongst UTS alumni located in Shanghai. The dinner will be hosted by alumna Ana Ng, who is also kindly sponsoring the event. There are limited places available, so make sure to RSVP so you don’t miss out on this exclusive event! The association will also be holding a committee meeting in the same venue prior to the event, from 4.30pm, and alumni are also welcome to attend if they would like to share their ideas and thoughts for the Association’s 2016 activities. RSVP: Please RSVP to Ana Ng at utsaas@163.com by Wednesday 14 October 2015, and include your contact number, Wechat ID, and your degree details. Click here to download an invitation, with further details of the event. Share your favourite Kuring-gai memories! Do you have a favourite story about life on campus? A favourite staff member or lecturer who made a real difference to your studies? Did you find your first love on campus? Or did you meet your husband or wife here? We’d love to hear from you.